The author highlights the five choices made by Sita, and each chapter gives a brief insight into Sita’s thought process,‘You are bound by rules, but not I. I am free to choose.’ For Ram, duty superseded choice, and it was the choices made by Sita that affected the course of events. While the writing style is simple, Devdutt Pattanaik’s signature drawings make the book unique. The author ends the book by making the young readers aware of the fact, that good and bad are found within everyone and the choices made, mold the character of a person. 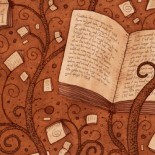 A rather analytical approach towards narrating a well known myth; will definitely appeal to the young readers of today! 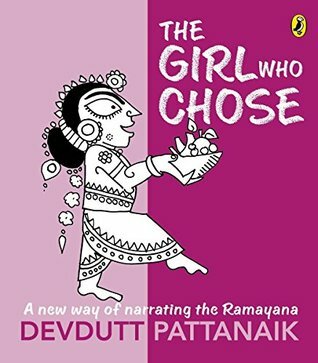 This entry was posted on August 14, 2016 by artikabakshi in Book Reviews, Indian, Kids, Mythology, Mythology and tagged Devout Pattanaik, Indian Author, ramayana, The Girl Who Chose.